You guys, I am so in love with this book. This year has been a great year for reading. So far, I haven’t really had very many books that were clinkers. Nearly all the books I’ve read have been wonderful, but this one . . . this one is probably my favorite of the year. I asked for this book around Christmas, so it sat on my bookshelf for nearly six months. What a waste of time! I could have known about this book six months earlier. Sigh. Oh well. On to the review. The book begins by describing this very strange, mysterious circus. It arrives one day, seemingly out of the blue, and it is only open at night. Instead of the usual garish splashes of color, Le Cirque des Reves is made up of tents in stark black and white, which makes the wondrous acts within stand out even more. But this world of amazement is only the arena for a fierce battle. Two old magicians, one known as Prospero the Enchanter, the other sometimes called Alexander (but usually just referred to as “the man in the grey suit”), have chosen champions to fight in a “game,” where only the winner will survive. Prospero chooses his daughter, Celia; the man in grey, a street urchin named Marco. These children grow up learning magic and knowing that, one day, they will face an unknown opponent, one they are expected to defeat. As the years go by, the Cirque becomes their battlefield, as new tents appear filled with breathtaking sights. Fans follow the Cirque all over the world, calling themselves “Reveurs.” In the meantime, Celia and Marco finally recognize each other as opponents in this game, but that doesn’t stop them from falling in love. As the rest of the Cirque swirls around them, the two young people must find a way for both of them to survive the competition if there is any hope for them to be together. The Cirque also draws a young boy named Bailey away from his home life of boredom. His parents expect him to go to an Ivy League school someday, but Bailey is a dreamer. Once he befriends some people from the Cirque, the twins Poppet and Widget, his life is set on a course that will change everything, both for Bailey and for the Cirque itself. It’s so hard to tell what this book is about without getting completely gushy about it, and without giving away anything. This is a book to just sink into, to immerse yourself in. Morgenstern’s writing is impecable, not too overdone or flowery. In fact, it’s her simpler way of describing things that makes the Cirque stand out even more. 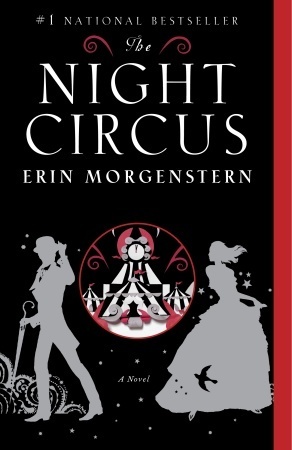 There are little sections where she flips into second person point of view (“Your curiousity got the better of you . . .”), allowing the reader to seemingly experience the circus first hand. This is a very tricky thing to do, but it’s done very well here. This book is romantic, mysterious, and all around wonderful. Go read it. Now. Seriously, it’s such a good book. Probably my favorite book that I’ve read so far this year. I’ve been meaning to read this and it sounds like I should. It’s really, really good, just in case I didn’t make that clear. 🙂 I think it’s probably my favorite book I’ve read so far this year. I love your description of the book–I read it a while back, and loved it, but found it hard to describe. Especially tone-wise. Your way is better, I think.